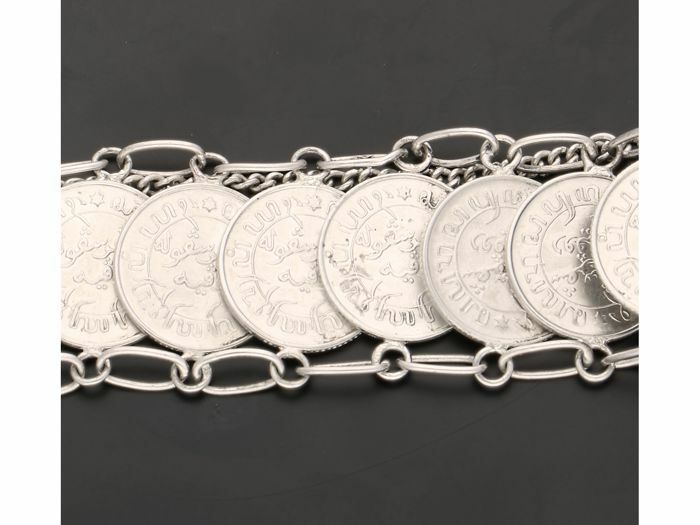 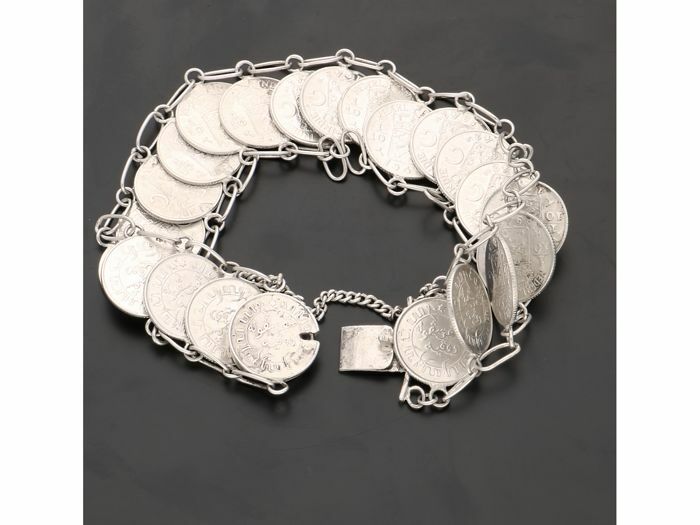 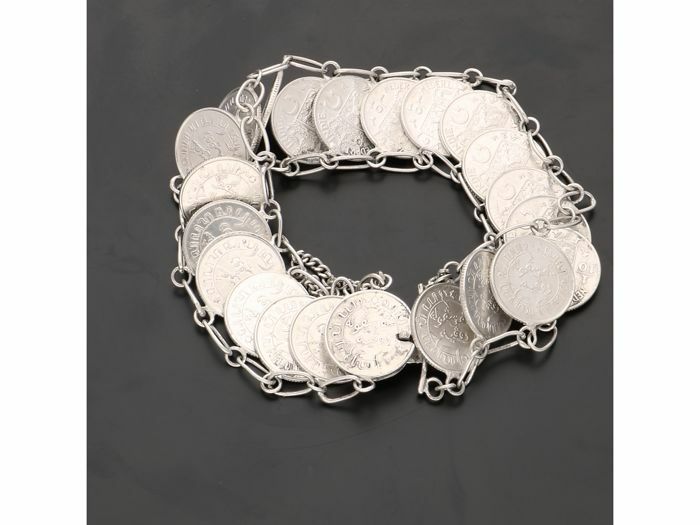 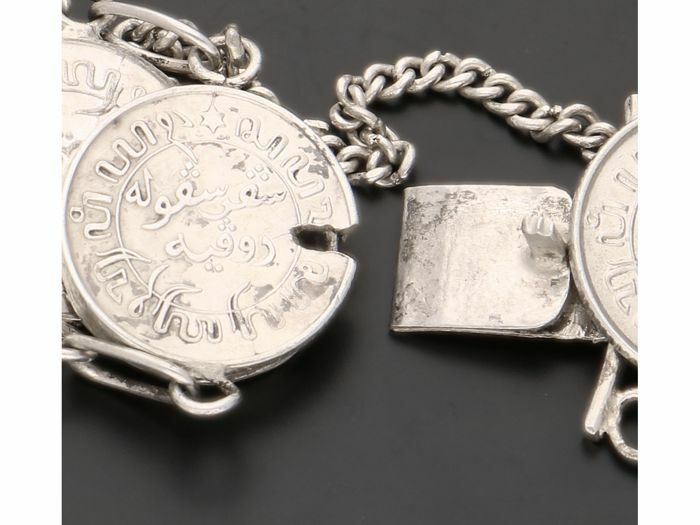 Silver bracelet with 10 cent coins Dutch East Indies from the 1940s. 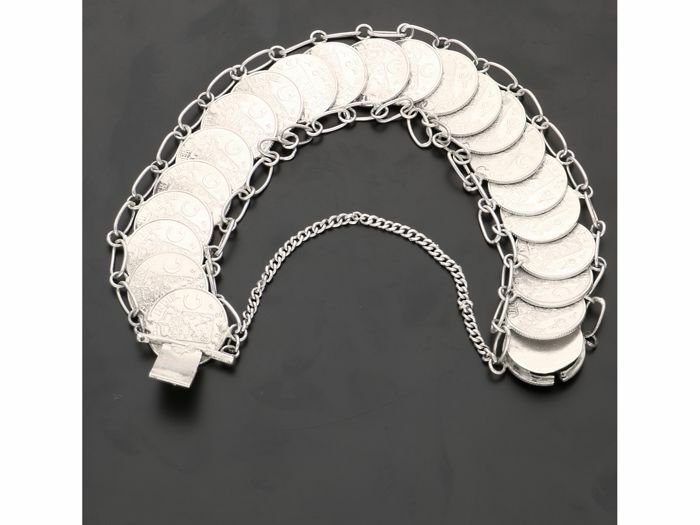 Period queen Wilhelmina. 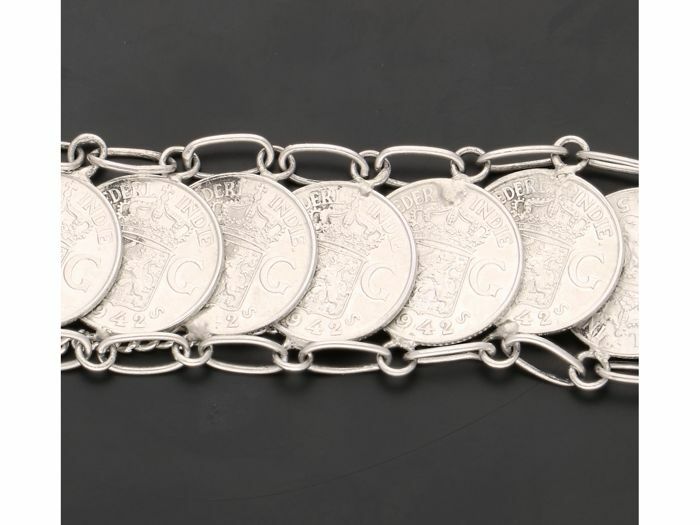 The bracelet is 2 cm wide.